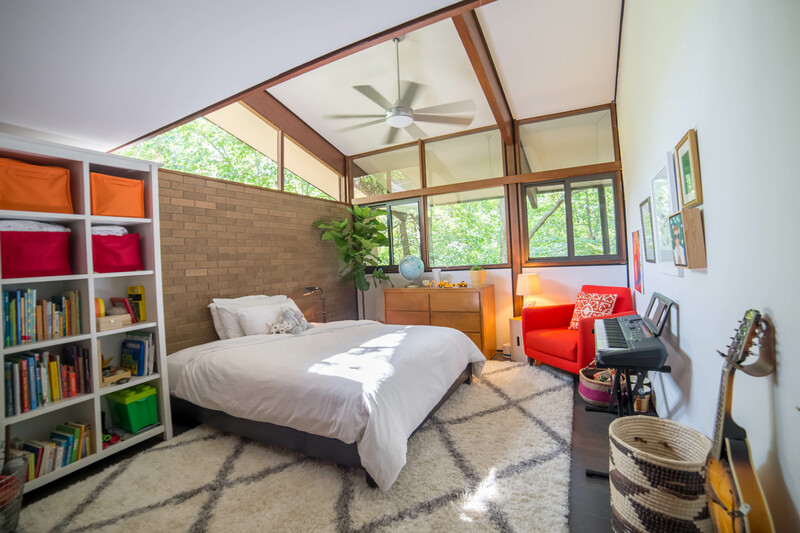 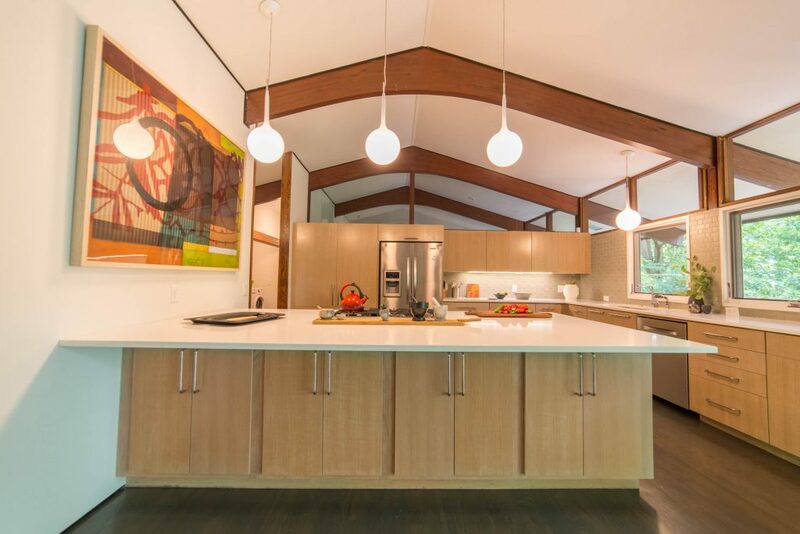 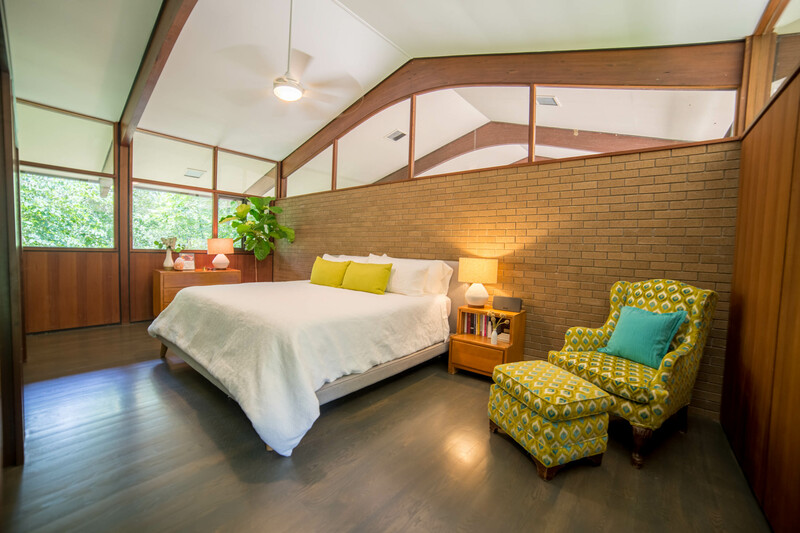 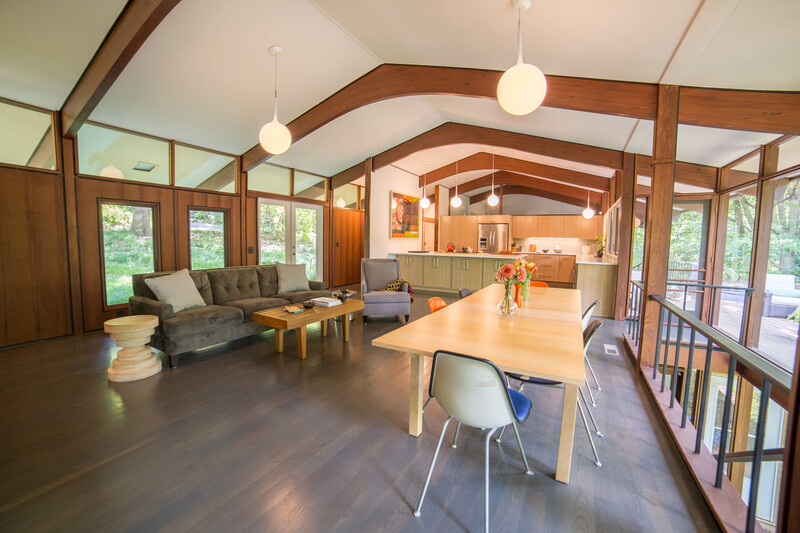 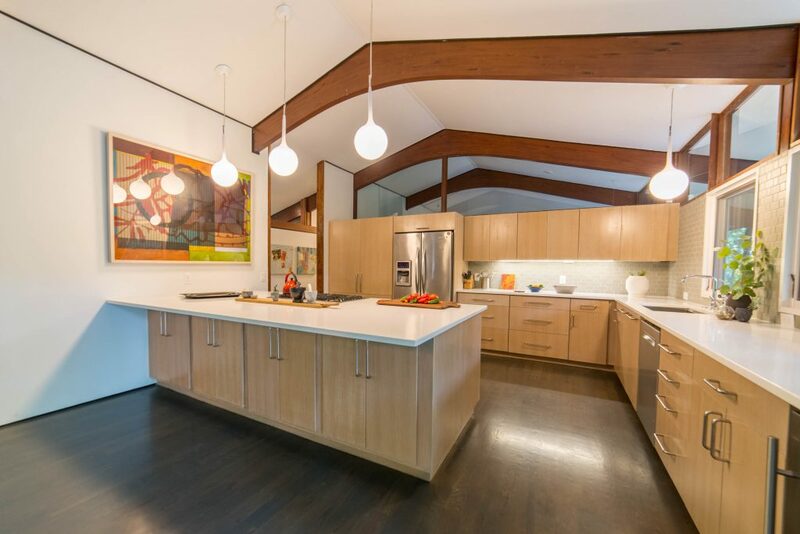 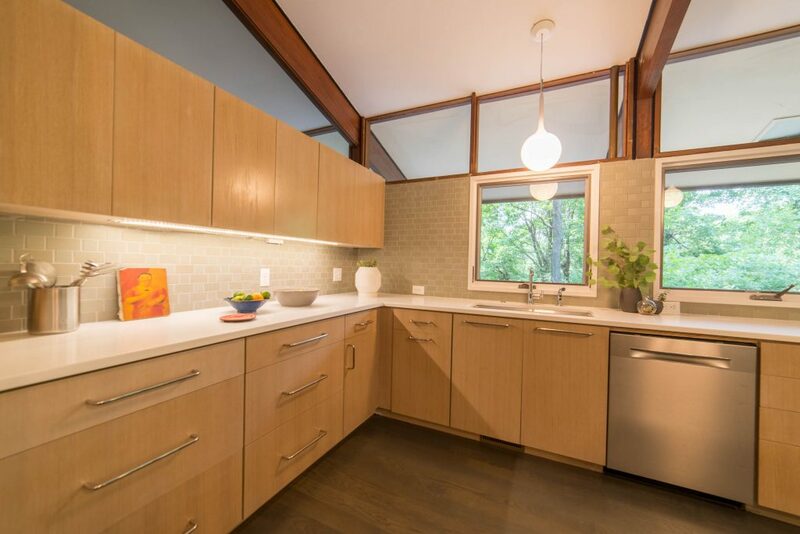 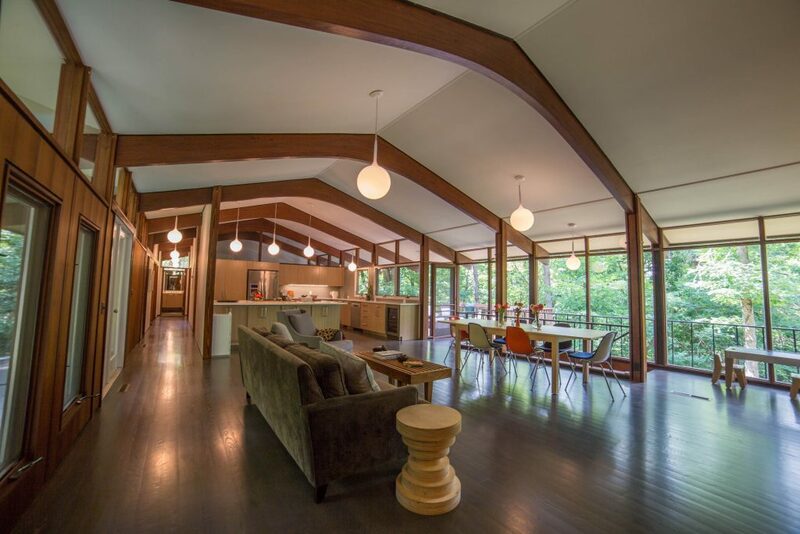 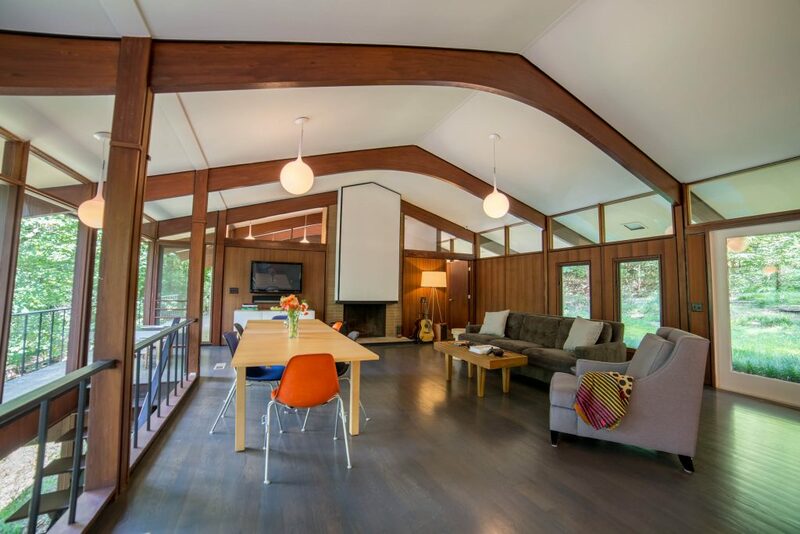 The project was a remodel of a mid-century Warren Segraves designed residence in Fayetteville, AR. The remodel was completed toward the end of 2016. 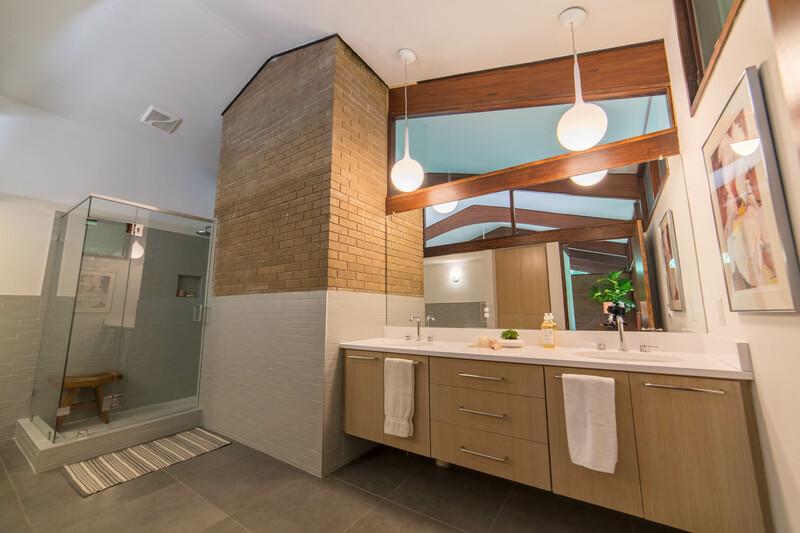 The project team included Interior Designer Meredith Rebolledo and Reform Contracting. 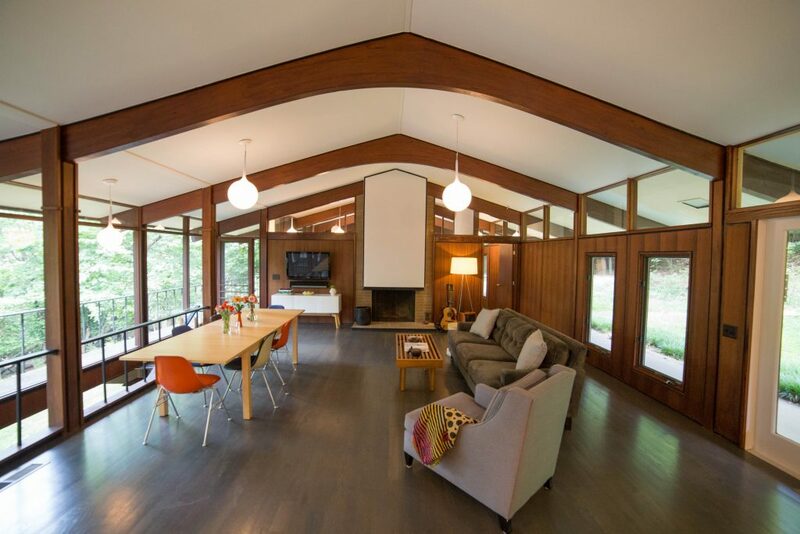 The house is two-story at approximately 2,800 sq. ft. and has 3 bedrooms and 3 bathrooms. 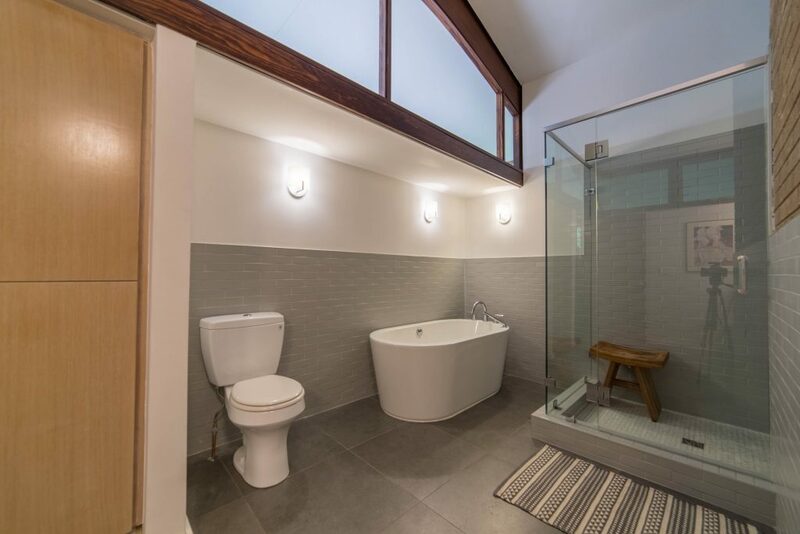 The house is nicely hidden in the surrounding landscape and contains a large deck space facing a wooded area of the property offering great privacy to the home. 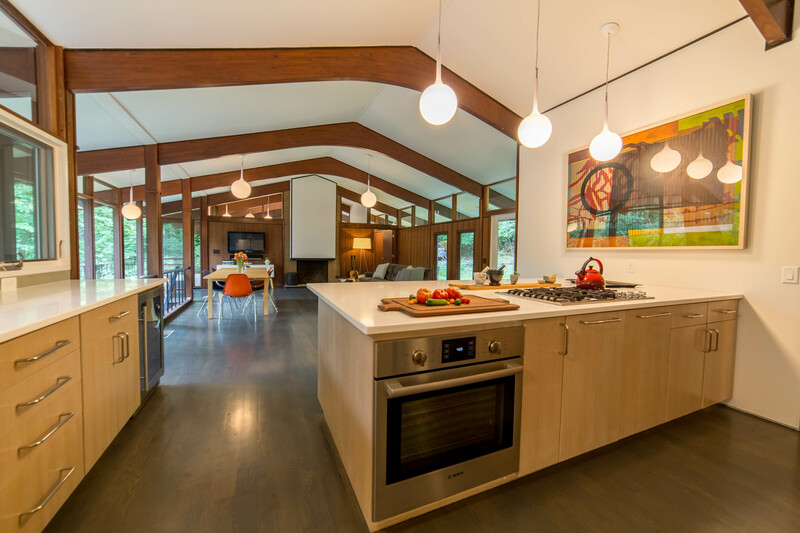 The scope of the remodel project will include redesign and reconstruction of the interior spaces. The design challenge was to explore new design opportunities within these spaces to add contemporary aesthetics to compliment the original architecture.